The new park in Puerto de Santiago was officially opened on Wed 3rd June. It was built by the company Edustro SA, and is situated very close to the recently opened Hotel Costa Los Gigantes. Present at the opening ceremony were the Mayor, Juan Damián Gorrín Ramos, manager of the company Edustro SA, Juan Vázquez, several councillors and locals of the area. The new park, which is gardens, walkways and a children’s playground, covers a total of 12,000 square meters, which is the largest green area of the municipality. 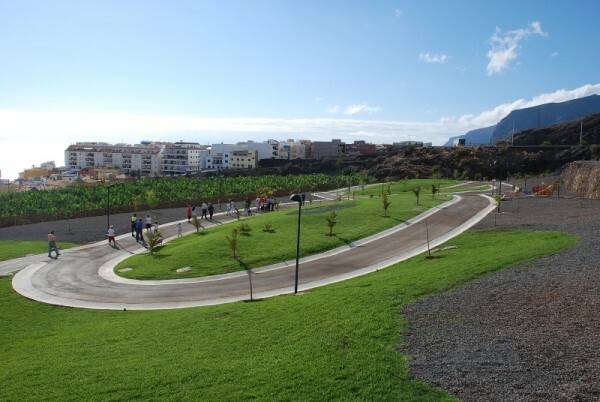 The plot adjacent to the park, which has a total area of 5,000 square meters, is the site which is planned for the future cultural center of Puerto de Santiago.